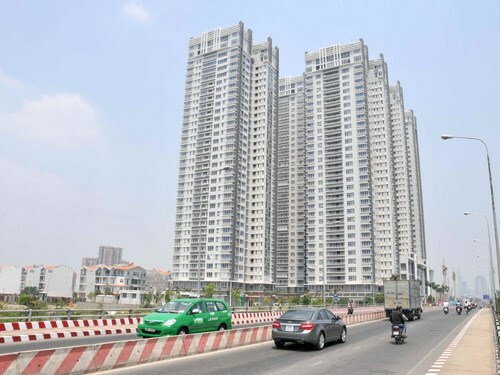 Mergers and acquisitions (M&A) in Vietnam grew by 9.7 percent last year to US$5.2 billion, mostly with small and medium-sized enterprises involved, according to a new market report. The number of deals was up 23.1 percent to 341, local market research company StoxPlus said in the report. Foreign investors were involved in 98 deals accounting for 46 percent of the total value, down from 65 percent in 2014, it said. With 20 transactions worth nearly $1.64 billion, real estate was the biggest attraction for the foreign companies. Hong Kong's Gaw Capital Partners completed a $600-million deal to acquire a 50 percent stake in a consortium that is building Vietnam's tallest building, Empire City in Ho Chi Minh City. It was followed by Chow Tai Fook, another Hong Kong investor, which acquired 78 percent in a casino project near Hoi An for $387 million. However, foreign investors are likely to shift their focus to services and industry, especially textiles, this year because of Vietnam’s signing of free trade agreements, including those with Europe and South Korea, according to StoxPlus. Many companies, especially those from Japan, South Korea and Thailand, are planning to enter Vietnam through M&As to take advantage of low tariffs brought by the agreements, it said.